Rory joined the BBC as a researcher on Look North in 1981, moving to London to work as a producer in the TV Newsroom and on Newsnight. His on-screen career began as reporter for Wales Today, following which he moved to London as a reporter on Breakfast Time. He quickly transferred to business coverage, working across the BBC’s output from the Money Programme to Newsnight and the Today programme to the Ten O’Clock News. The stories he has covered range from Black Wednesday and the Maxwell trial to the dot com bubble and the rise of Google. In 2000, he was briefly the BBC’s Internet Correspondent before returning to his post as Business and Industry Correspondent after the dot com bubble burst. 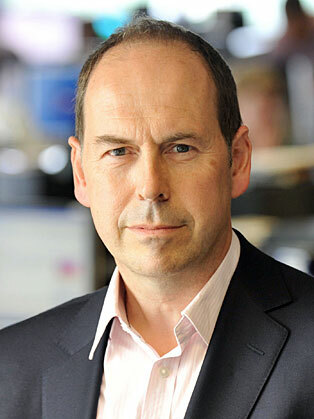 At the beginning of 2007 he was appointed Technology Correspondent with a brief to expand the BBC’s coverage of the impact of the internet on business and society. After the dot.com crash of 2000 he wrote the book ‘Dot.Bomb: The Strange Death of Dot.Com Britain’, published in 2003 and describing the booming years of the rise and then fall in dot.com business in Britain. The Daily Telegraph described his book as ‘At times hilarious…captures perfectly the greed, conceit and plain stupidity of the time’. In 2012, readers of T3 magazine voted Rory Gadget Personality of The Year; whenever there is a new gadget, app or useful website to try, Rory is likely to be experimenting with ways of using the new tools in his journalism!